This is the Ernie Ball 8 String set of electric guitar strings. 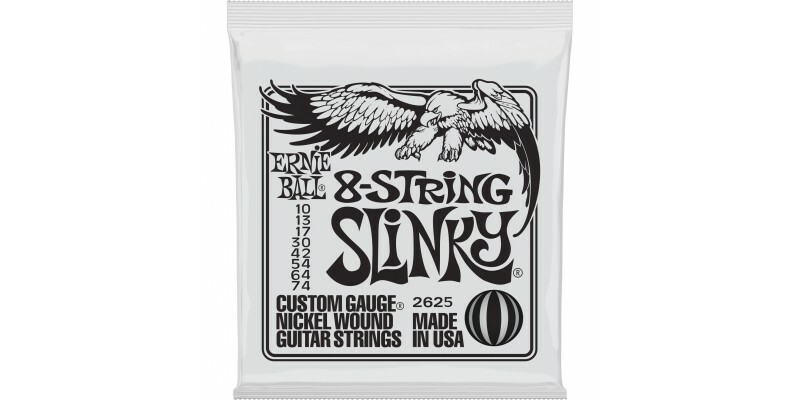 Ernie Ball Slinky Strings are widely revered for their world class tone. These strings are precision manufactured to the highest standards and most exacting specifications to ensure consistency, optimum performance, and long life. Buy today from Merchant City Music online and in our Glasgow shop. Fast UK delivery.